I feel it is pertinent to preface my comments with a few words against which I would like my remarks to be judged. Firstly I do have some understanding of the commitment and volume of work put into the plan by the relevant officers at NNDC. I also have a reasonable grasp of the constraints under which they were forced to construct this SMP. All of my comments are directed at the plan itself and are in no way intended to reflect upon those charged with the onerous task of it’s production. It is my unshakeable and firm belief that we are simply trustees of our rich, diverse environment and cultural heritage. I believe it is incumbent upon us to pass on to future generations the Norfolk we love, cherish and have been fortunate enough to enjoy in, at the very least, as good a condition as we inherited it. Notwithstanding that I also firmly believe we have the skills, technology and the know how to pass on to future generations a greatly improved and more secure version of the Norfolk we hold in trust today. This proposed plan (together with the English Nature ChaMP report 2003) is pure academia, it does not address the real issues facing our communities, it’s main driver is obviously the ongoing reluctance of Central Government to provide funding for the defence of this nation from the sea. It does not address the socio-economic problems we currently have let alone the enormous problems enactment of this plan would produce. It is in my view an unmitigated disaster for Norfolk. It speaks of the desire to return to a more natural coastline yet it completely ignores what many believe are some of the most influential causes of damage and hugely accelerated rates of erosion in the area namely the as yet untested Sea Palling reef scheme, which many believe has caused more problems than it will ever solve and the effects of Marine Aggregate Dredging on the coastal process. 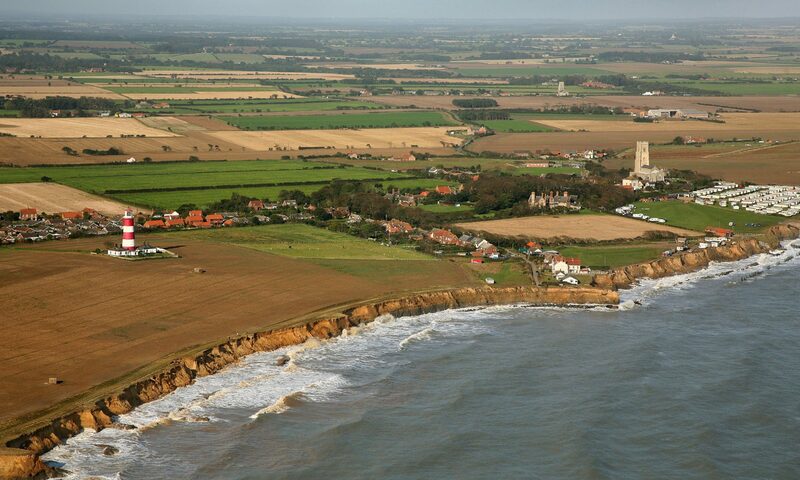 I note para.3.2.1 Coastal process and coastal defence, contains a reference to aggregate dredging I quote “Whether or not there are links between offshore dredging and coastal erosion is uncertain”. If we are “uncertain” in this key area then this must surely invalidate the entire plan and it’s assumptions and predictions. This is a pretty damning indictment of aggregate dredging made by knowledgeable people who have no financial incentive or strategic reasons to cover up the true effects of offshore dredging on coastal process. This must surely invalidate the whole proposed SMP as it has been compiled on the premise of incomplete data which throws all of the assumption and predictions of what our coastline may do into grave doubt. If the effects of dredging were not included in the modelling for the SMP, which it is patently obvious they were not, then no-one has any accurate idea of what our coastline will do at any given stage or time. Shockingly the answer to that one lies in the hands of the dredging companies for only they know how much of our marine environment they intend to remove. I would contend that this proposed plan is purely a Shoreline plan and in no way addresses the management of the huge, immense socio- economic problems it will cause, indeed it has caused enough already before it is officially launched for it’s, so called, consultation process. Any such plan could only ever be workable if that dreaded word compensation were included. Without mitigation of the effects on peoples assets in the name of wider national interest, any plan of this type is doomed. It is a real tragedy that we have not taken the opportunity to produce a real shoreline management plan, one which builds instead of destroys, one which faces and solves the challenges ahead instead of running away from them. I firmly believe we have the capability to produce a plan which provides protection for the coastal communities by the selective use of defences in already defended areas which will enhance the sedimentary transport and harness the natural elements to work with nature and enhance both man’s environment and the biodiversity of our area, if we followed this path coupled with a complete cessation of dredging of the Humber and East Coast we would then truly have fulfilled our obligations as trustees and pass on a much improved, more secure Norfolk to future generations. I do not think those generations to come will thank us if we throw away so much of their cultural heritage as the current plan would demand of us.